Our permeable resin driveways in the North East, don’t just look good, they come with a fully permeable hardwearing surface. Furthermore, the surface is SuDS compliant which means you don’t need planning permission. Once installed our resin driveways need very little maintenance. In addition, they come in a wide range of colours and textures to complement your property. 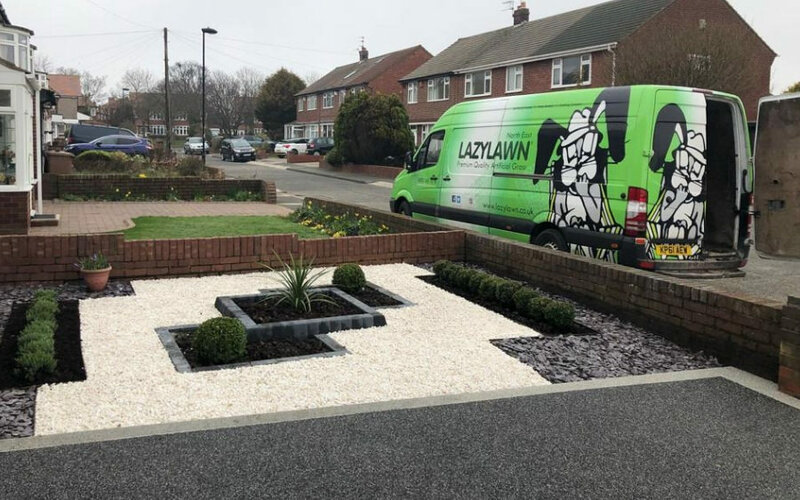 No loose stones, our resin driveways are created with a beautifully smooth surface with no loose stones, making them perfect for adjoining grass areas. Low maintenance, apart from the occasional sweeping and power washing, the technology of our resin driveways minimises both weed growth and puddles. SuDs compliant, no planning permission required. It creates lots of small gaps which allow the water to drain into the ground. Offering the drainage and appearance of loose gravel combined with the durability of block paving. Why Choose Resin Bound Paving For Your Driveway? As the rainwater starts to fall on a paved surface this needs to drain away. Solid surfaces can cause the water to flow across the surface onto the street or for pools to form, all these are adding to the risk of flooding. Resin driveways offer you the benefits of both options. You get great rainwater drainage along with a durable, smooth surface. 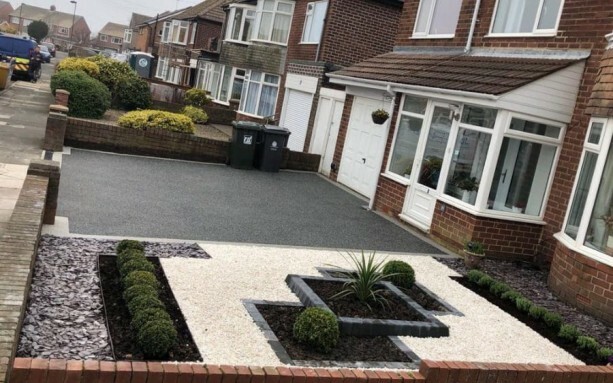 Why Choose Ian Howe Landscaping For Your Resin Driveways in the North East ? Furthermore, our suppliers are one of the UK’s leading resin bound suppliers for driveways. The resin they supply us is regularly tested to ensure it is one of the best solutions in the industry. Anti-slip tests are also carried out to ensure that our resin is suitable for both commercial and domestic projects. We work with our customers at each stage of the design and installation process, doing our utmost to understand your needs and requirements. 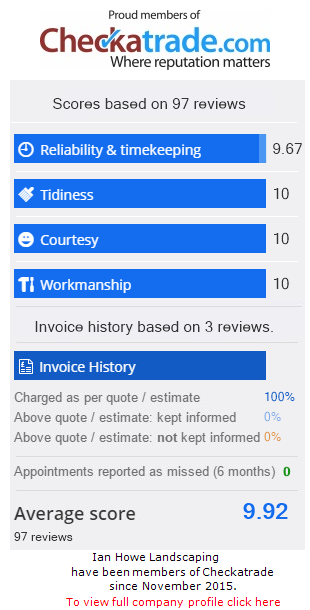 Due to the fact we take care of the whole process from start to finish, you can be assured of a quality job. This new technology calls for careful selection not just of the best materials but also the right installation. Please be aware that cheaper options may involve a non-expert installation, which could result in problems later down the line. Non-specialists may also use substandard materials which can degrade or discolour over the years. Finally, if you would like to keep informed of all our latest news please join our Facebook Page.